Being Retro: I Hate You, Zachary Levi! 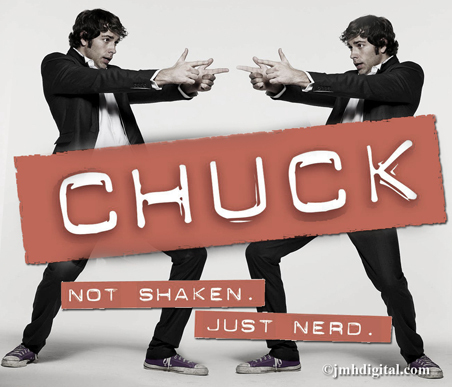 Okay I really don't hate you, but you make the ladies swoon over you and then you grab attention from your show "Chuck". This leads you to work with Disney and Fox on a few small projects where you scream at "Alvin" and start to sing with the girl with the really long hair. While maintaining your friendship with Adam Green, which leads you to the "Team Unicorn"... this getting you closer to my secret crush Clare. Okay then there is this singing thing again, I want to say at the "Oscars"... or the song "Terrified". Not even to mention that "Chuck" is leaving the little screen, which means "Team Bartowski" comes to an end... no more Sarah Walker-Bartowski [my secret crush on Yvonne, well it's not a secret really]... you have to start an awesome company "The Nerd Machine" designing stuff for people like me. I want you know to slow down or at the very least send me a care package [xxl]... maybe an interview. So mister get in-touch me soon about that care package [xxl] and maybe I can change my thought on hate to a like. I will be waiting at the mailbox! @lurker... i like this song, it's not my normal type of music... but apparently i am man crushing on zac, according to my wife. i say i am happy he brings so much to the world... it's guy love.